Is Detox From Oxycodone Dangerous? Detoxification from oxycodone can be described as the removal of the drug from the body, often by stopping use "cold-turkey." Oxycodone is a semi-synthetic opioid used for analgesia to relieve moderate to severe pain. Oxycodone is often combined with non-steroidal anti-inflammatory drugs (NSAIDS) or acetaminophen to supplement the pain-relief properties with non-narcotic medications (which makes overdose on these combination drugs especially dangerous). Remember that detox is only one step in the long road to recovery.In order to achieve recovery, a user must stop taking oxycodone to bring the brain and body back to a 'baseline' existence. Remember that detoxing from oxycodone is only one step in the long road to recovery and only addresses the presence of oxycodone in the body. Users are encouraged to seek psychological counseling to deal with some of the predecessors of addiction, such as social and behavioral factors. Typically, detox from oxycodone (and opioids in general) is not life threatening. However, a healthcare professional should be contacted prior to deciding to stop use to ensure that supportive care can be initiated. Many oxycodone users wish to detox at home without medical interventions, which is not advisable. Even though oxycodone detox is not considered life threatening, it is moderately uncomfortable and can have complications that could require medical attention. For example, users detoxing from oxycodone may experience nausea and vomiting. If the user is asleep when vomiting occurs, aspiration into the lungs may occur, which is very dangerous and could be fatal. Monitoring by healthcare professionals in the proper detox setting helps prevent these complications. The withdrawal symptoms experienced during oxycodone detoxification can make it extremely unpleasant and difficult to attempt at home. For many, a structured program of monitored detox is an advisable start to any substance abuse treatment. Please call 1-888-993-3112Who Answers? now to speak to someone who can help guide you through the best oxycodone treatment option for you. There are medications available to assist with detox, particularly in the management of oxycodone withdrawal symptoms. May be prescribed to relieve nausea and prevent vomiting. May be used to treat opioid withdrawal and shorten the detox period. Acts as both an opioid antagonist and partial agonist, assisting with detox without the severe withdrawal symptoms associated with quitting "cold turkey." Used for opioid replacement therapy (similar to methadone), both short- and long-term, and can be used to help users withdraw from oxycodone. Detox from oxycodone is very uncomfortable, and the withdrawal symptoms are divided into two phases: early and late. Onset of symptoms depends upon the degree of dependence prior to stopping oxycodone usage. The longer and more frequent the use, the shorter the onset of symptoms. More dependent users experience withdrawal symptoms within a shorter time period than less dependent users. However, psychological symptoms of withdrawal can last longer. Physical symptoms of detox usually only last around 2 weeks, which is when the drug and its immediate influences are considered completely clear from the body (again, this depends upon the severity of abuse prior to stopping oxycodone). If you have any questions regarding the detox timeline and treatment options, please call to speak with a compassionate treatment support advisor today at 1-888-993-3112Who Answers?. 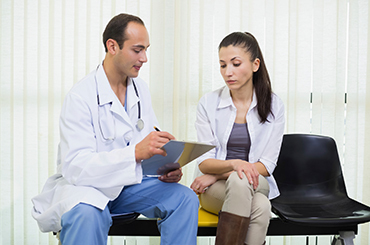 Treatment for oxycodone detox is available, as both inpatient and outpatient options. Both options focus on the comfort and safety of the patient, providing oversight and medications to ease withdrawal symptoms during detox. Inpatient options are typically best for users who are severely dependent, or have co-occurring medical or mental health disorders. Since withdrawal symptoms are so uncomfortable, depression or suicidal ideations may be present during this difficult time. Inpatient treatment ensures that the patient receives counseling for all of the issues surrounding the detox and withdrawal process and starts the patient out on recovery treatment as well. Outpatient treatment still usually affords medical supervision, but more remotely. Medications are prescribed and often taken home where family and friends can provide support. The complexity of the patient's dependence will likely play a large role in deciding on a treatment option. Cost: Inpatient treatment is more costly than outpatient treatment but more inclusive. Outpatient treatment may be a viable option for people with a very supportive system of friends and family that can ensure comfort and safety during the detox process.